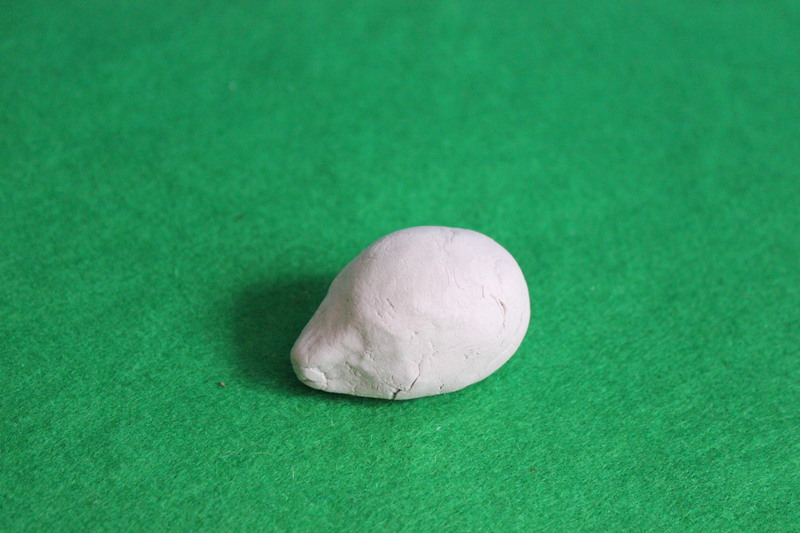 Roll clay into a ball. Smooth with damp fingers. 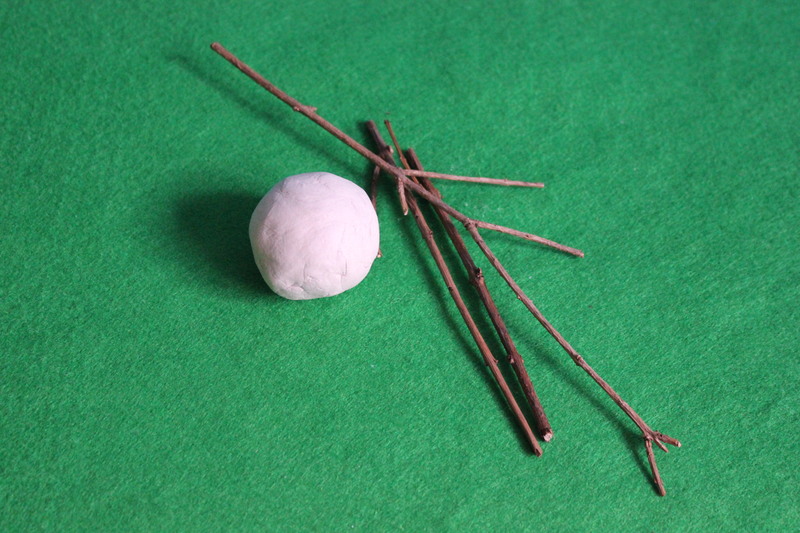 Pinch and pull one end of the ball out to make a nose. 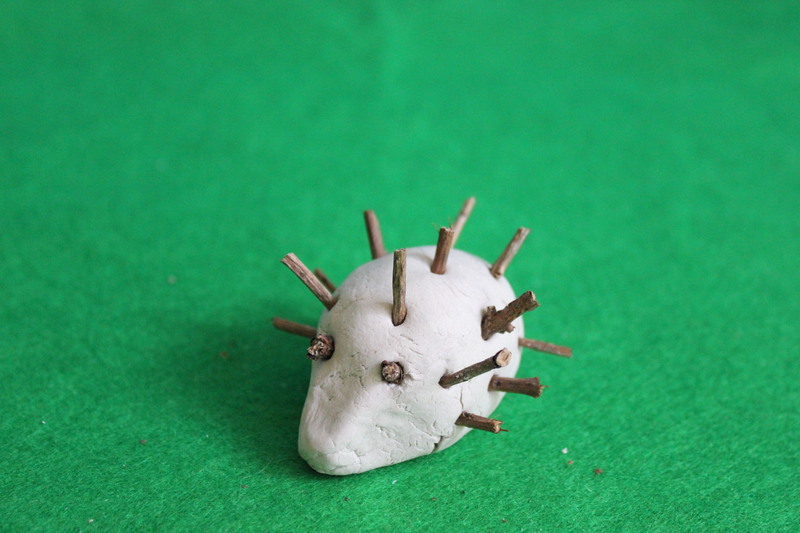 Break the twig into small pieces and stick into the hedgehog to make spikes. 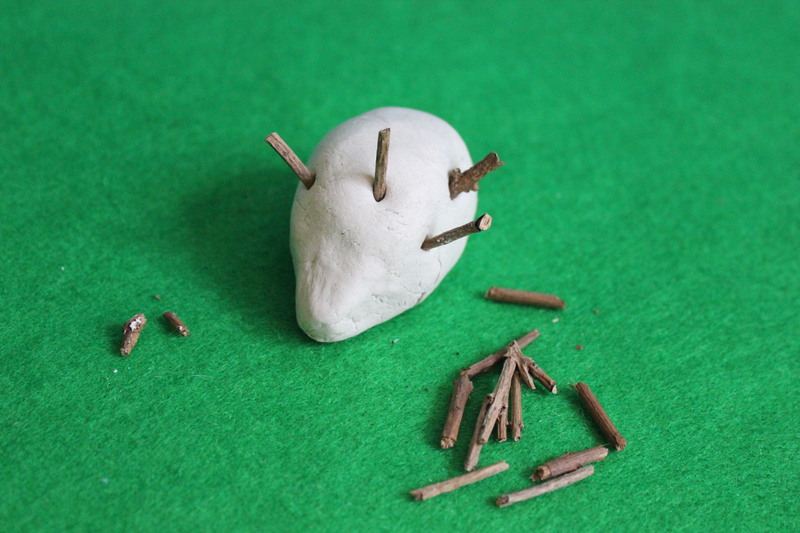 Press small pieces of twig into the face to make eyes.